town after the war. In 1949 he decided to leave Europe, which had suffered so much from the two World Wars, and took off for Brazil, a country which fascinated him. He arrived in Rio de Janeiro at a time when many artists were taking the same path towards a county in the flux of political, economic and above all artistic change. He soon found in place in the architectural firm of his compatriot Lucjan Korngold in São Paulo, working on a number of projects with him. Due to the demand expressed by their clients, he began, in 1955, to create furniture on commission for the buildings he had designed. Having obtained Brazilian nationality in 1953, Zalszupin was able to sign his own projects and in 1958 he opened his own agency, escritorio tecnico Prumo. During this time, the architect took on prestigious commissions, such as for the new Air France boutique in 1958, the huge auditorium of the teatro cultura artistica in 1959 and the project for the Mendes caldeira building in collaboration with Lucian Kormgold in 1960. Born in Warsaw in 1922, Jorge Zalzupin fled Poland in 1940 to escape the Nazi invasion. He went to Romania, where he studied architecture at the Fine Art School in Bucharest, before moving to Dunkirk in France, where he worked on the reconstruction of the town after the war. In 1949 he decided to leave Europe, which had suffered so much from the two World Wars, and took off for Brazil, a country which fascinated him. He arrived in Rio de Janeiro at a time when many artists were taking the same path towards a county in the flux of political, economic and above all artistic change. He soon found in place in the architectural firm of his compatriot Lucjan Korngold in São Paulo, working on a number of projects with him. Due to the demand expressed by their clients, he began, in 1955, to create furniture on commission for the buildings he had designed. 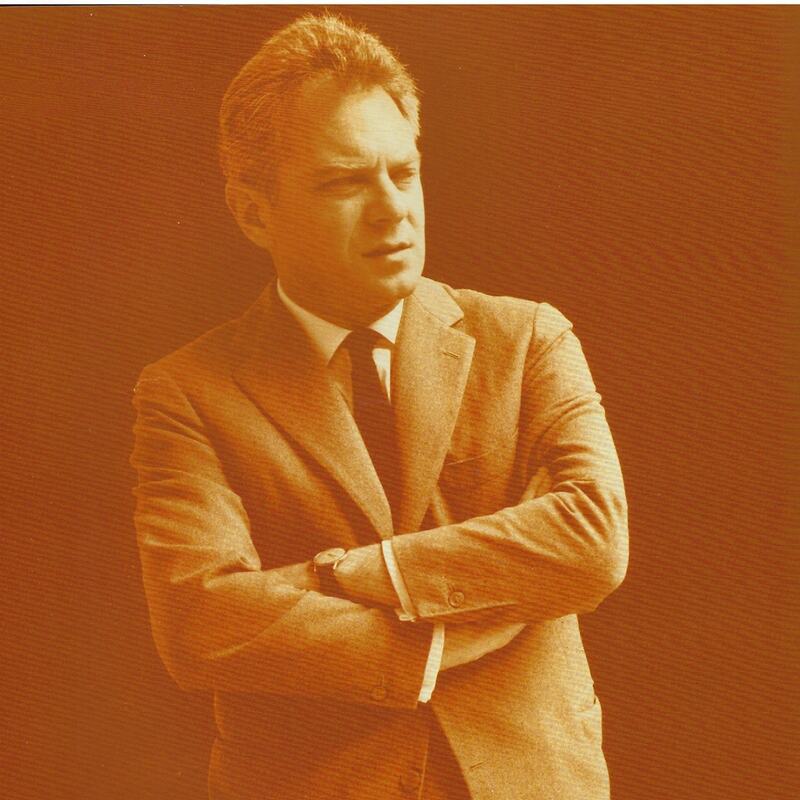 Having obtained Brazilian nationality in 1953, Zalszupin was able to sign his own projects and in 1958 he opened his own agency, escritorio tecnico Prumo. During this time, the architect took on prestigious commissions, such as for the new Air France boutique in 1958, the huge auditorium of the teatro cultura artistica in 1959 and the project for the Mendes caldeira building in collaboration with Lucian Kormgold in 1960. 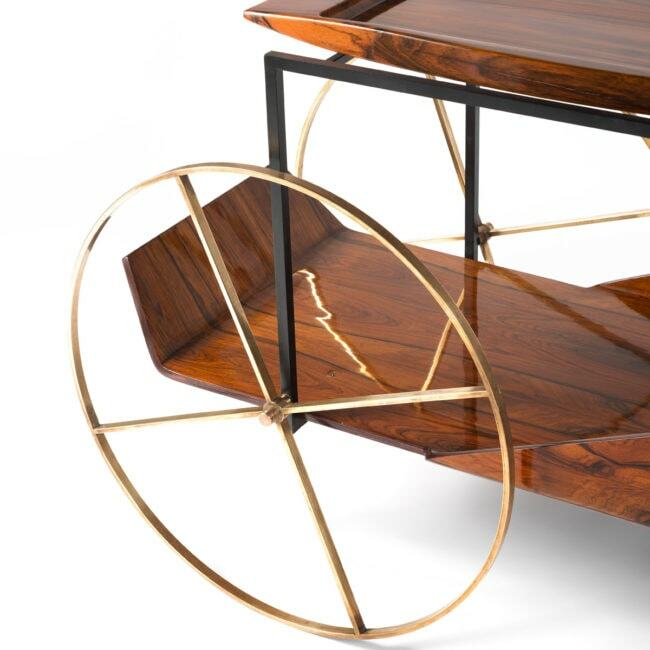 Faced with a clear need for the modernisation and diversification of high quality furniture, Zalszupin opened his own furniture workshop, L’atelier, in 1959. He opened his first boutique in São Paulo, which was soon highly successful. Here, he proposed furniture collections made from wood and other materials such as metal, leather, marble and concrete. The now iconic Scandinavian design-inspired dinamarquesa armchair and the sculptural tea trolley were among the first pieces made in the workshop. 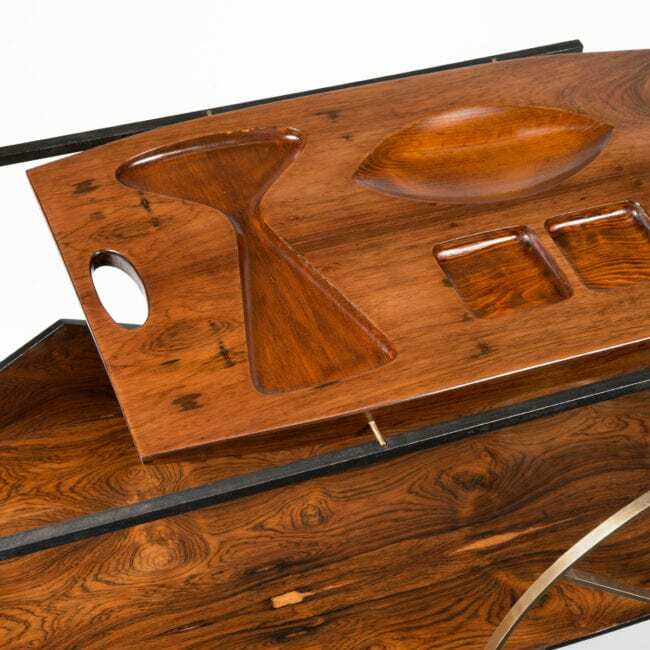 His interest in woodwork led him to create resolutely modern shapes, using plywood and wood bending techniques. In this way he moved away from Scandinavian furniture, and put his own stamp on Brazilian design. 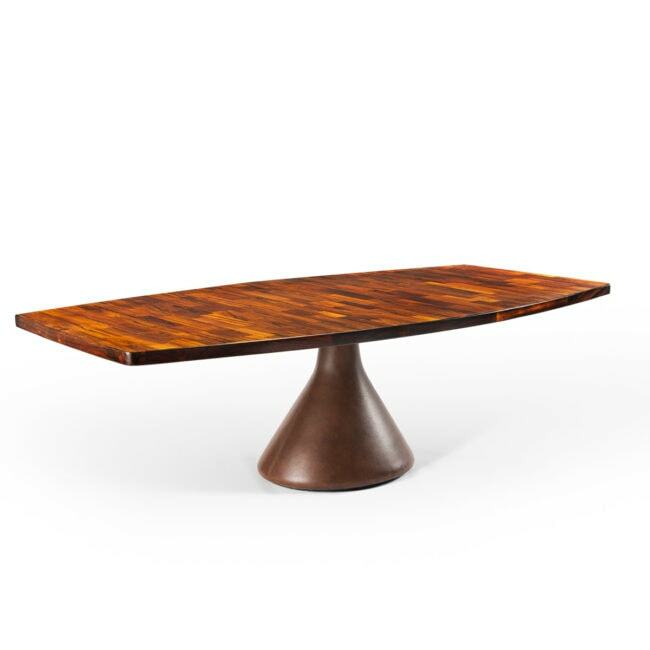 of them, keeping unused fragments and assembling them to make, for example, the beautiful jacaranda marquetry pattern that makes up the surface of the large Guaruja et Guanabara table, and the andorinha and Pétalas coffee tables. The appearance of plastic in the 1960s offered new technical and aesthetic possibilities that Zalszupin was quick to draw on. The most emblematic piece he made in this period is the Hille chair, which dates from 1968. The financial group Forsa bought up L’atelier in 1970, keeping Zalszupin in charge. In 1988 Zalszupin left the company in order to focus on architecture, splitting his time between France and Brazil. Two exhibitions have been devoted to his work, the first at the Artemobilia Gallery in São Paulo in 2009 and the second at the Oscar Niemeyer museum in Curitibia in 2012.